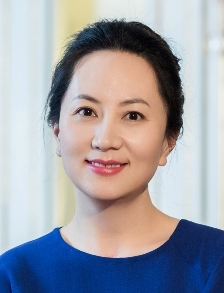 The United States issued an arrest warrant against the chief financial officer and heir apparent of Huawei, Meng Wanzhou (left). At issue is a six years old alleged violation of sanctions against Iran. Mrs. Meng was arrested in Canada. She has been set free under a stringent $10 million bail agreement. An extradition trial will follow in February or March. The US rarely arrests senior businesspeople, US or foreign, for alleged crimes committed by their companies. Corporate managers are usually arrested for their alleged personal crimes (such as embezzlement, bribery or violence) rather than their company’s alleged malfeasance. Meng is charged with violating US sanctions on Iran. Yet consider her arrest in the context of the large number of companies, US and non-US, that have violated US sanctions against Iran and other countries. In 2011, for example, JPMorgan Chase paid US$88.3 million in fines for violating US sanctions against Cuba, Iran and Sudan. Yet chief executive officer Jamie Dimon wasn’t grabbed off a plane and whisked into custody. The U.S. indicted dozens of banks for violating its sanction regime. They had to pay huge fines (pdf) but none of their officers were ever touched. The Trump administration is preparing actions this week to call out Beijing for what it says are China’s continued efforts to steal American trade secrets and advanced technologies and to compromise sensitive government and corporate computers, according to U.S. officials.Multiple government agencies are expected to condemn China, citing a documented campaign of economic espionage and the alleged violation of a landmark 2015 pact to refrain from hacking for commercial gain. Taken together, the announcements represent a major broadside against China over its mounting aggression against the West and its attempts to displace the United States as the world’s leader in technology, officials said. One wonders what those “mounting aggressions” are supposed to be. Is the U.S. not constantly spying and hacking for economic for political gain? U.S. government investigators increasingly believe that Chinese state hackers were most likely responsible for the massive intrusion reported last month into Marriott’s Starwood chain hotel reservation system, a breach that exposed the private information and travel details of as many as 500 million people, according to two people briefed on the government investigation.These people cautioned that the investigation has not been completed, so definitive conclusions cannot be drawn. But the sweep and tactics of the hack, which took place over four years before being discovered, prompted immediate speculation that it was carried out by a national government. The new anti-China campaign follows a similar push of anti-Russian propaganda three month ago. This will not be the sole Chinese measure against Canada for its role in enforcing extraterritorial U.S. sanctions. The string of U.S. accusations and measures against China are partly to protect the market share of U.S. companies against better and cheaper Chinese products and partly geopolitical. Neither has anything to do with protecting the international rule of law. 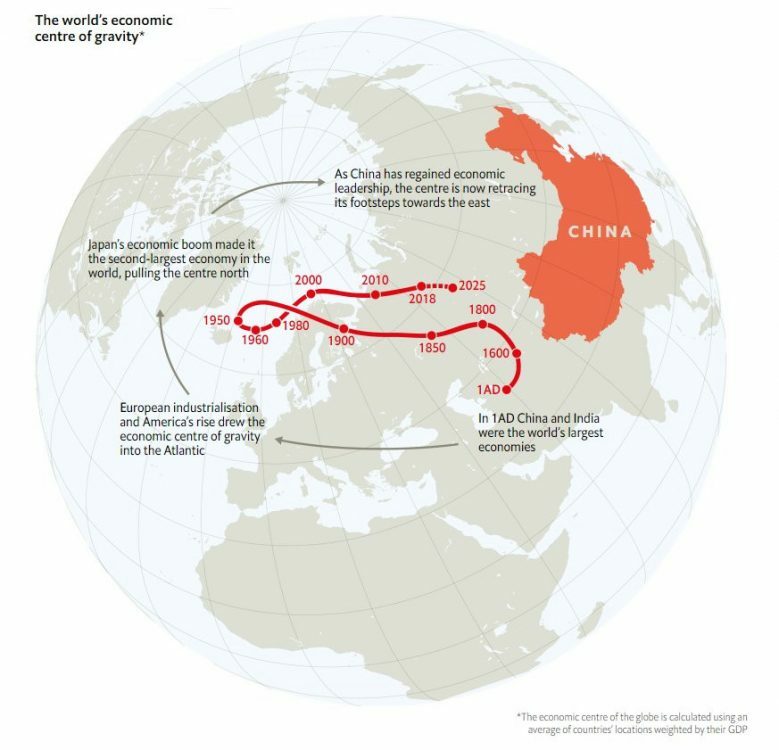 After three centuries of anglo-american imperialism the economic center of the world is moving back to the east. The U.S. is way too late to prevent this move. Its best and most profitable chance is not to challenge, but to accommodate it. That again would require to respect international laws and treaty obligations. The U.S. is not willing to do either. Nothing except a large scale war that results in the destruction of the industrial centers of east Asia, while keeping the U.S. and Europe save, could reverse the trend. Nuclear weapons on all sides and the principal of mutual assured destruction have made such a war unthinkable. What we are likely to see instead will be proxy conflicts in various other countries. The current U.S. strategy is to restrict China’s access to foreign markets, advanced technologies, global banking and higher education. While that may for a moment slow down China’s rise it will in the long run strengthen China even more. Instead of integrating into the world economy it will develop its own capacities and international systems. The U.S. can temporarily hinder the telecommunication equipment provider Huawei by denying it access to U.S. designed chips. It will probably do so. But that will only incentivize Huawei to start its own chip production. With a few years delay it will be back and out-compete U.S. companies with even better and cheaper products. It is typical for the current U.S. to seek short term advantage while disregarding the long term negative effects of its doing. It is a major reason for China’s rise and its future supremacy. The author is the founding editor of Moon of Alabama. The US played its cards all wrong, and foolishly and greedily so. Why? Because it encouraged its youth not to study by making study way too expensive and by destroying the public school system, and by dumbing down the population with bad food, lack of exercise and just plain Bullsh)t.
When I was in college, I was a chemistry major, but that was Vietnam and I realized I was being trained to be a lackey for Dow and all the other murderous chemical companies. So stopped studying that and went into the humanities. Bad career move but at least I didn’t contribute to poisoning the planet. It is far worse now as the culture deteriorates, and in particular, study is made unaffordable. Plus, the corporations shipped so many jobs overseas to well educated Asians, that now America’s youth, rather than applying the skills they could have learned have no jobs, just debt. So instead of educating people in a way that the US economy could be competitive, they voluntarily gave it up to China to design and make the routers, smartphones, etc etc. The US doesn’t encourage Solar or other renewable research because the oil companies don’t want it. There are many examples of how Corporate America slit its own throat when it sold out its young people for short term profit.